Schefflera arboricola belongs to the most popular indoor plants. Under optimal conditions, this plant can reach a considerable height of up to 4 m. The Schefflera’s greatest ornaments are the very decorative, hand shaped, shiny and variegated leaves. 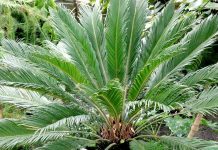 The plant is quite undemanding and it is demonstrably able to improve the room climate. 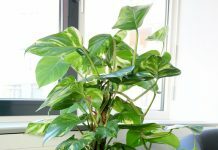 It functions practically as a natural room freshener. 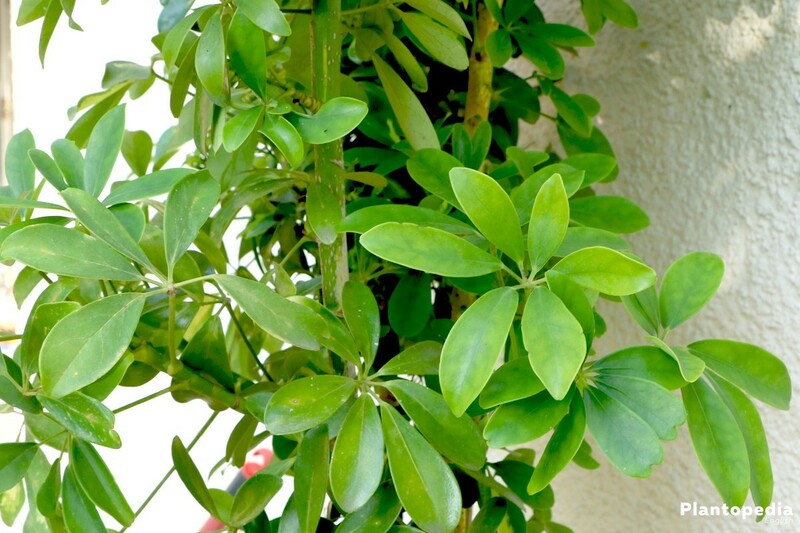 This pretty house plant grows laterally as an evergreen shrub, sometimes climbing or as an epiphyte. Originally from Taiwan and Hainan, the plant produces colourful red flowers in its natural habitat. When kept in the living room, it normally does not flower. 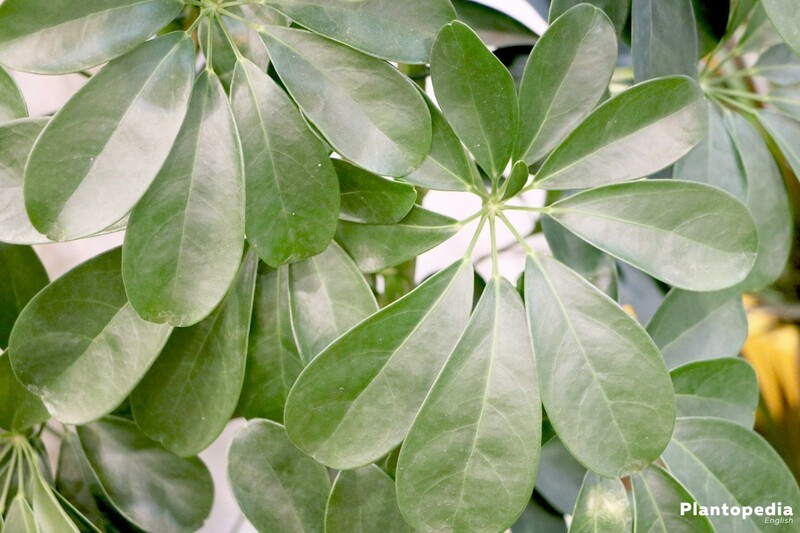 Besides its pretty appearance, Schefflera also scores as an air freshener. The leaves do not only release oxygen, they also absorb pollutants such as benzene and formaldehyde. Growing this plant is quite easy, if you pay attention to a couple of things. 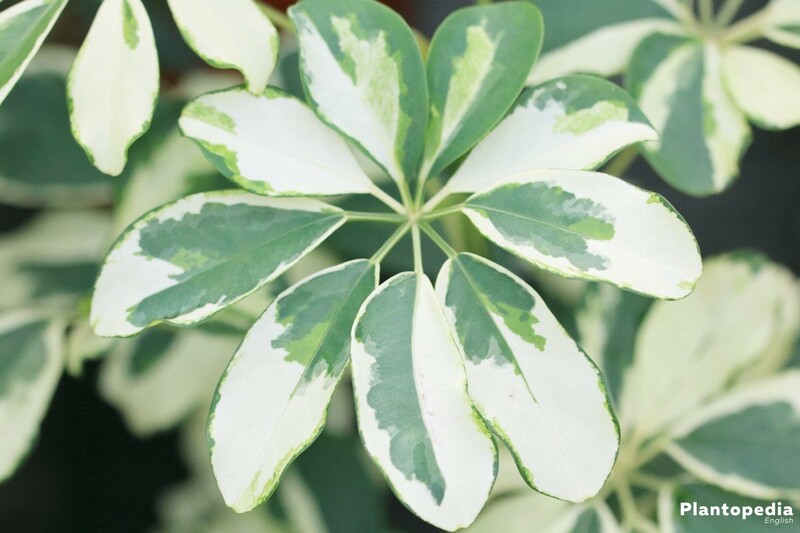 Compared to other Scheffleras, the Schefflera arboricola or small-leaved Schefflera is a more graceful species with slightly smaller but conspicuously variegates leaves. Due to its growth, it finds sufficient space even in small rooms. 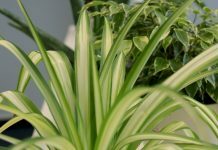 The following care instructions are supposed to explain how to care for this plant properly and which mistakes should be avoided when keeping it. 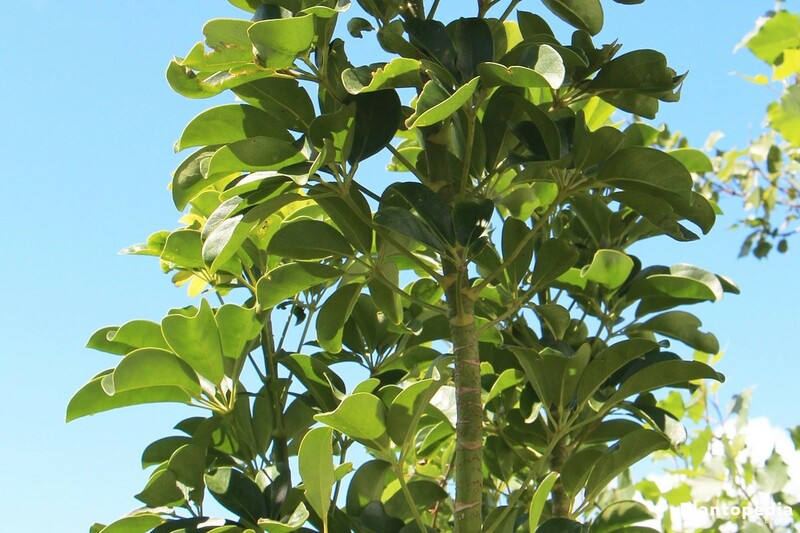 The best place for Schefflera is a light to semi-shaded and draft-free place. Exposure to direct sun should be avoided. During summer suitable shading can be useful, since otherwise the risk of burns exits. 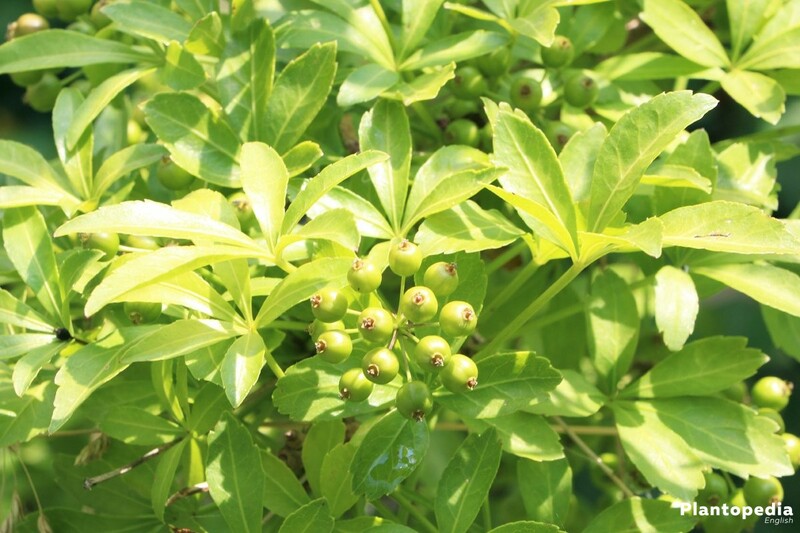 On the other hand, some sun in the morning and evening hours are favourably for this plant. During summer, it can also be located in a sunny place outside, on the balcony or terrace. Temperatures between 15 and 20° C are perfect for the Schefflera. However, they should not be exposed to temperatures below 12 °C, because this could cause them to lose leaves. For an even and straight growth, the plants should always be turned towards the light. 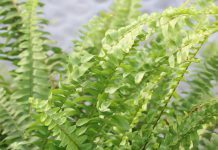 Otherwise, the canopy of leaves on the side which is turned from the light may thin out, while the other side is closely leafed. 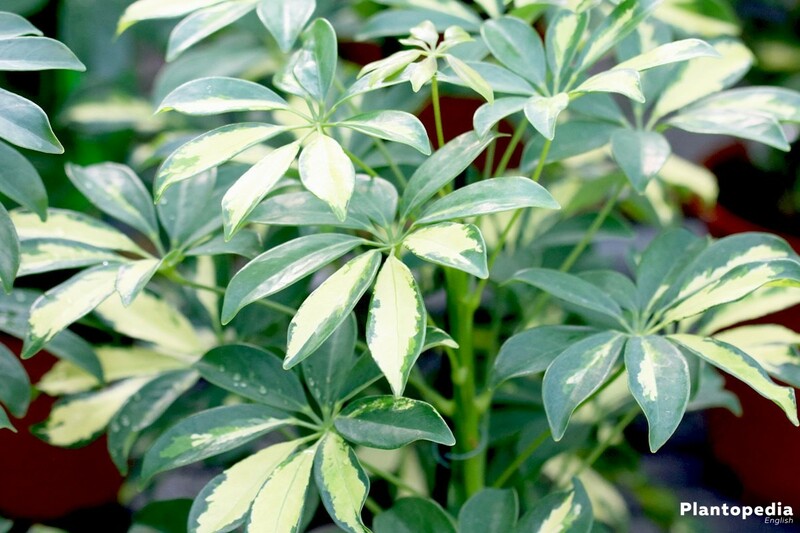 Customary soil from the gardening centre or building centre is only partially suitable for this plant, since it does not adequately meet the Schefflera’s requirements. The best solution is to mix a substrate consisting of 4 parts of clay, 2-3 parts of soil, 1 part of lavalit, lava granules or pumice gravel and 0, 5 part of quartz sand. The pH value should be slightly acidic and should be between 6.0 and 6.5. This value can be adjusted by adding more or less arable soil with some clay. If this seems too complex, Schefflera can also be kept in hydroponics. This plant does not like it too dry or too wet. This applies both the watering and the humidity. 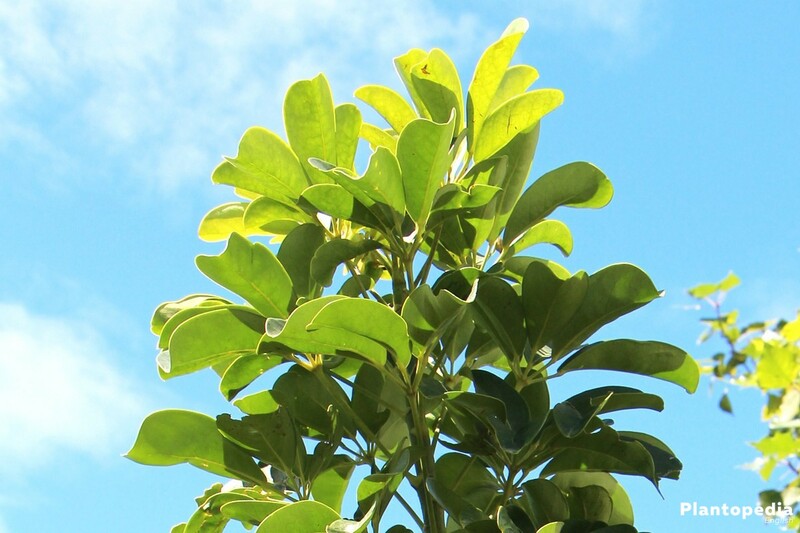 To preserve the shine of the leaves, it is advisable to wipe them with a damp cloth now and then. Larger specimens can be placed in the tub or shower and effervesced with lukewarm water, which has the same effect. In order to provide the Schefflera with the necessary nutrients, it should be fertilized from spring to autumn. 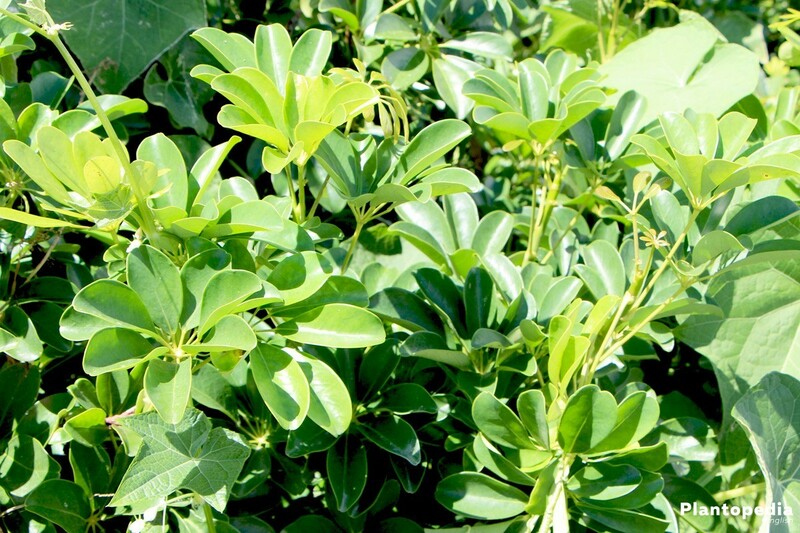 For this purpose a normally dosed fertilizer is used once or twice a week. 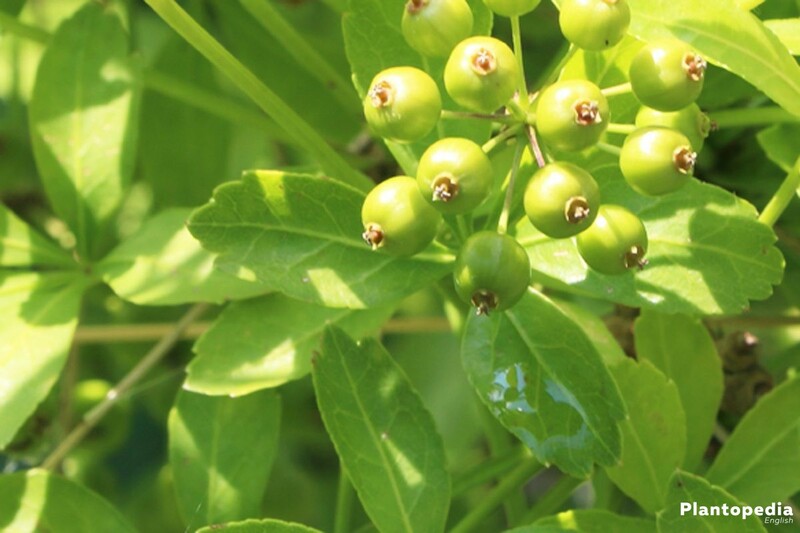 This may be a liquid fertilizer which is added to the irrigation water, a commercially available fertilizer for green plants or flowers, as well as special fertilizer rods or organic fertilizers, e.g. Horn shavings. 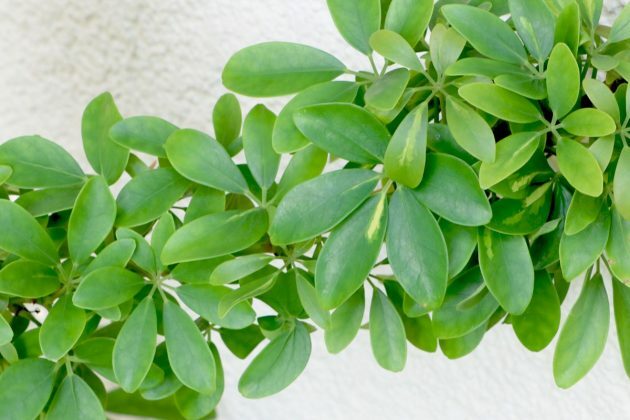 If the plant has just been repotted, fertilizer is not necessary for the next 8 weeks. 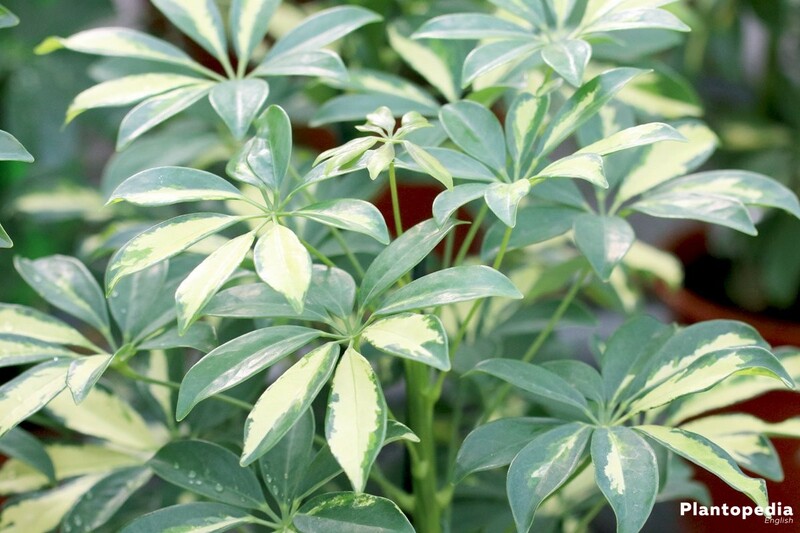 Schefflera looks the most plenteous and lush, when there are several plants placed in one pot. In spite of this all, for a bushy growth and for combatting the height, a back cut is recommended from time to time. 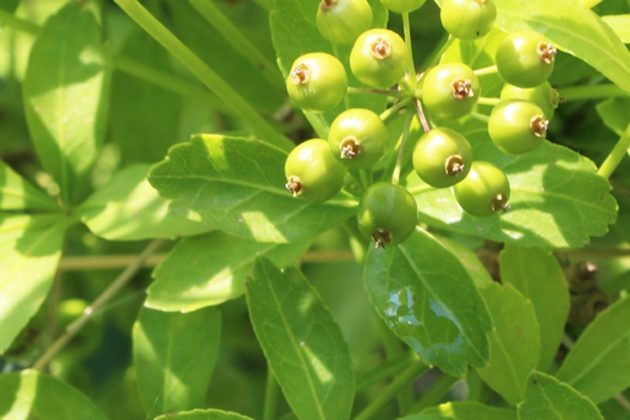 If the plant grows undisturbed, it may soon appear bald and shabby. The best time for cutting is spring, no later than May. This plant does also tolerate a radical cutback. 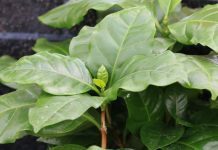 The cuttings that remain can be used to cultivate new Scheffleras. 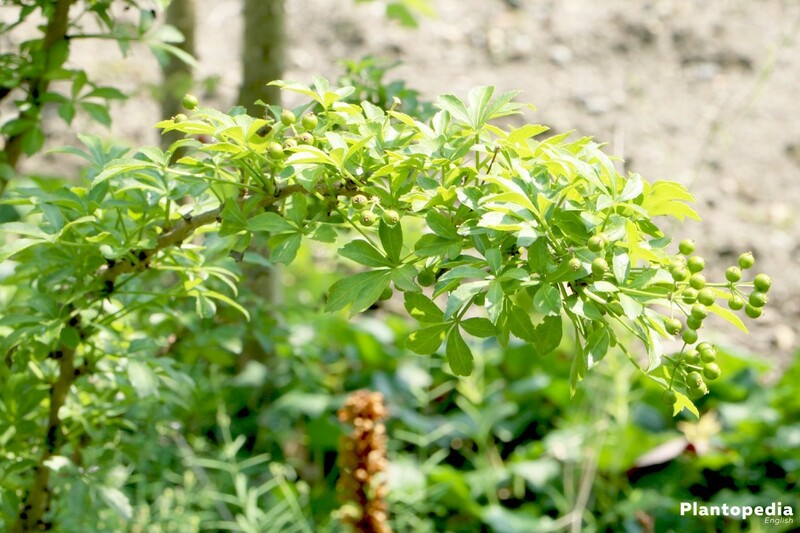 If the Schefflera is still young and if more plants are grown in one pot, the sprouts can be twisted together. This makes them an optical eye-catcher. 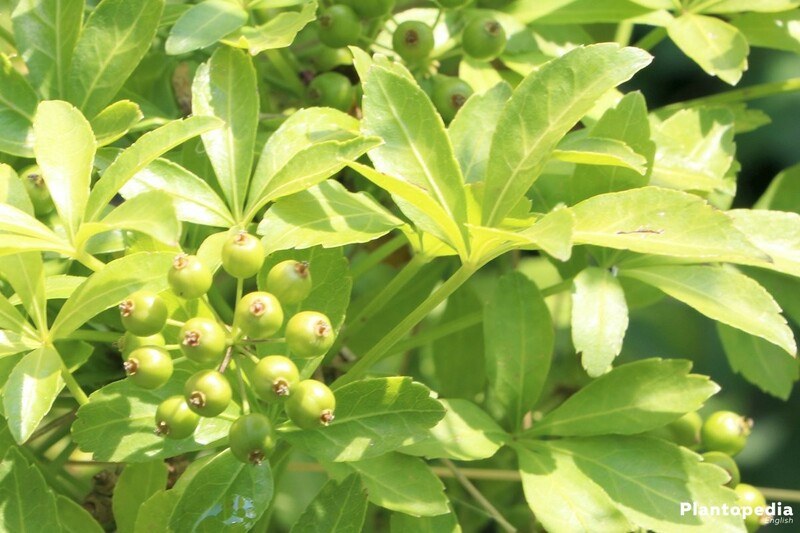 However, you should wear gloves when handling this plant, because all plant parts are poisonous. This is very important to know when small children and pets live in your household. 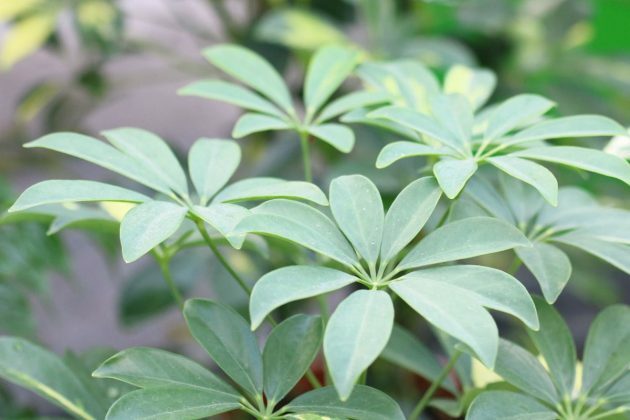 The Schefflera is not a dormant plant in the proper sense, since it grows throughout the year. In winter, light conditions and temperatures play an important role. 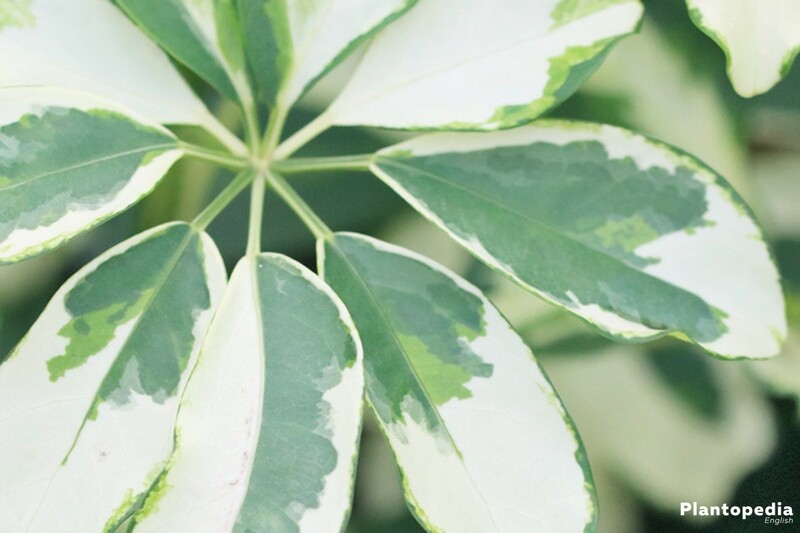 The species with variegated leaves, including Schefflera arboricola, require temperatures of at least 15-18 °C. If it is colder or warmer, this can cause the leaves to fall off or even lead to a pest infestation. During this period, the plants need far less pouring. Fertilizing is not fully adjusted but significantly reduced. Henceforth, you only fertilize once in every four weeks and with a low dose. 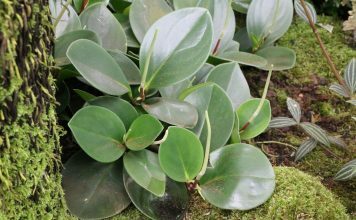 The propagation of this indoor plant can be carried out by using terminal cuttings, leaf cuttings or stem cuttings, as well as seeds. While propagation with cuttings usually show rapid successes, it may take several months until the first seedlings show up after sowing. As soon as the cuttings have formed roots in the water glass, they can be planted. 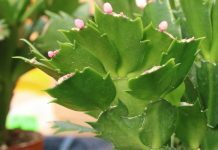 Soil-rooted cuttings are repotted as soon as they have grown about 3-5 cm. 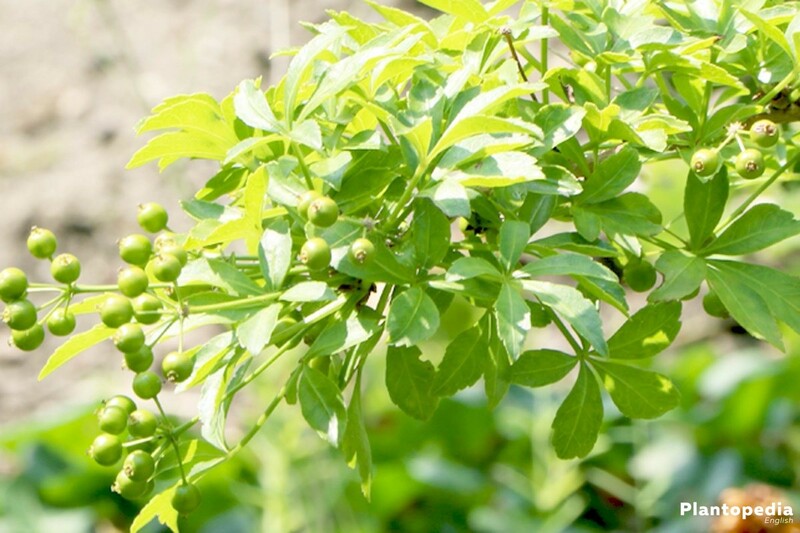 When they have reached a size of about 10 cm, the young plants can be fertilized for the first time. Of course, watering must not be neglected. 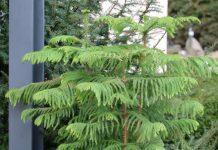 Generally the cultivation in pots is preferred, because the fine roots are very sensitive and could get harmed during planting. Between February and March or in July the seeds are sown in sowing vessels or in an indoor greenhouse, using customary soil or compost. The substrate must be kept evenly moist until germination occurs. The soil temperature should be about 25 °C. 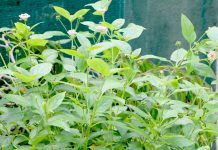 When the seedlings are large and strong enough, they can be separated and put into several pots. 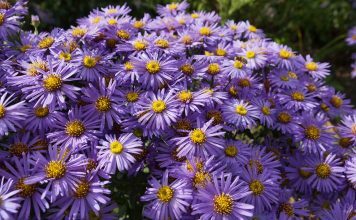 If you don’t want to single them, you can sow them in small pots, in which the young plantlets can then be cultivated for a short time further. From time to time Schefflera arboricola has to be repotted. This is the case in every 2-3 years. 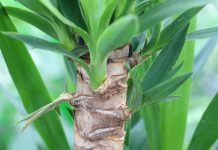 You can see it is time to repot, when the pot is strongly rooted and roots are already sticking out on the top or bottom of the pot, the substrate collapses or the growth is only miserable. 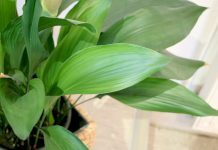 The best time for repotting is during the early spring, after wintering. First you carefully lift the plant out of the pot. Then you carefully remove the old substrate. The new pot should only be slightly larger than the old one. A drainage of coarse gravel is placed on the bottom of the pot, which is to ensure that excessive water can drain well. A fleece is placed on the drainage to separate gravel and soil. The fresh substrate is then placed on top. After placing the plant, fill the pot with soil, press the soil slightly and water it well. Even though Schefflera is very robust and usually not very prone to diseases, it can get infected with root rot. This is a fungal infestation, which is fueled by too much moisture and in the worst case it can lead to the death of the plant. Signs of root rot can be e.g. 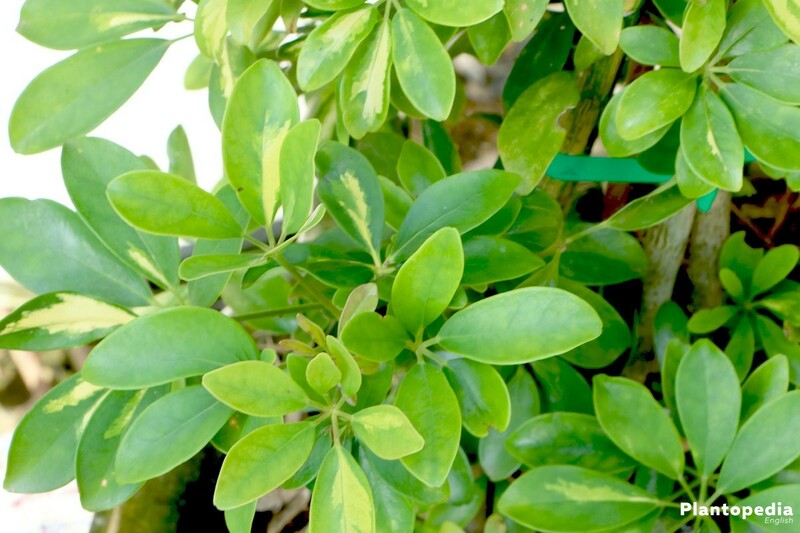 yellow leaves, a rotten smell from the substrate, a wet substrate as well as black roots and shoots. If you detect root rot, you have to react immediately, to save the plant. You take the plant out of the pot, remove all the soil and all rotten roots and plant parts. Then the plant is repotted to a fresh substrate. 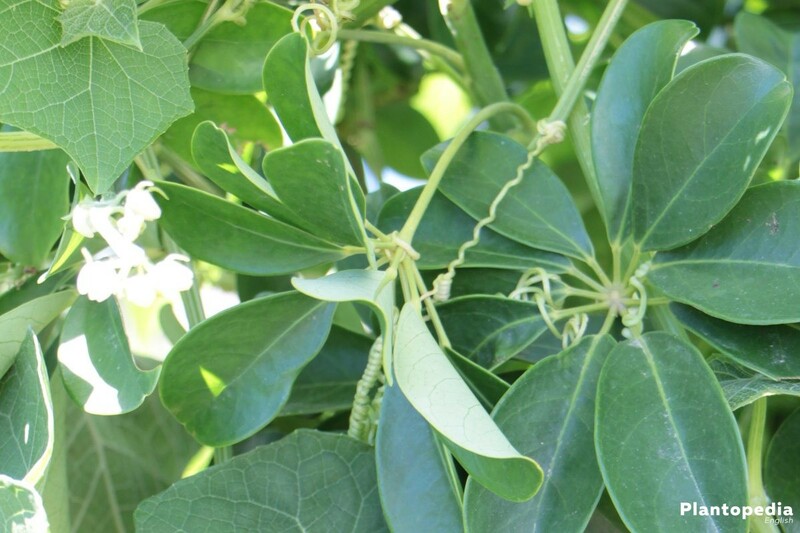 In most cases, the appearance of aphids, mealybugs or scale insects is the result of unfavourable growing conditions. Scale insects are recognizable by their small brown tags and sticky honeydew, the secretion of these insects. 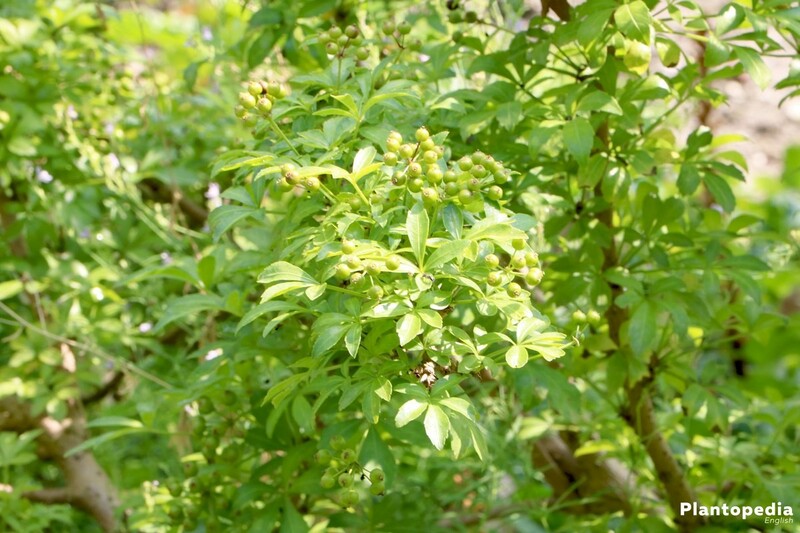 In order to eliminate the infestation, each single insect can be spread with a mixture of lubricating soap and alcohol or you can treat the plant with plant broths such as broth from tansies or stinging nettles. Beneficial species like ichneumon flies, predatory bugs, hoverflies or lacewings can also be helpful, since they fall for these parasites. 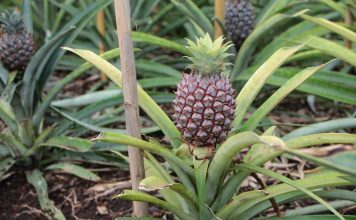 Aphids and mealybugs are also usually the result of a faulty growing. An aphid attack can often be eliminated or at least reduced by a powerful water jet. Mealybugs can be recognized by their small white, cotton-wool-like threads with which they surround themselves. They can be eliminated by dabbing them with an alcohol wipe or using their natural enemies. 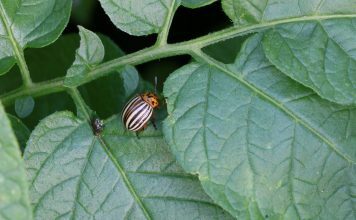 These include lacewings, the Australian ladybug and the ichneumonfly Leptomastix dactylopii. 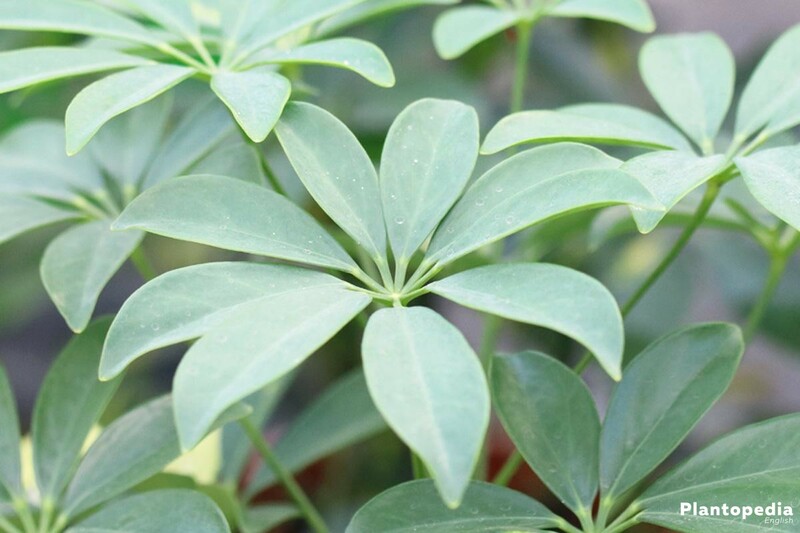 Spider mites and thrips belong to the greatest enemies of the Schefflera. The cause for an infestation is usually water deficiency. 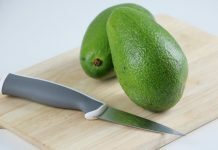 By spraying the plants with soapy water daily, an infestation can usually be eliminated without any additional pesticides. Spraying the plant with a soapy solution of water and curd soap once a week usually prevents pest infestation. An infestation with thrips mainly occurs when the air is warm and dry. 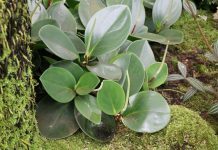 It can be recognized by silver suction marks and small crumbles under the leaves. 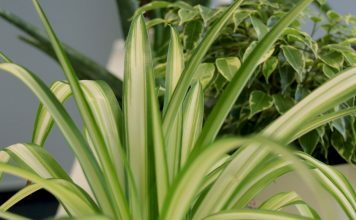 Infected plants should be isolated from the others and given a shower with warm water several times. For this purpose the substrate has to be covered. 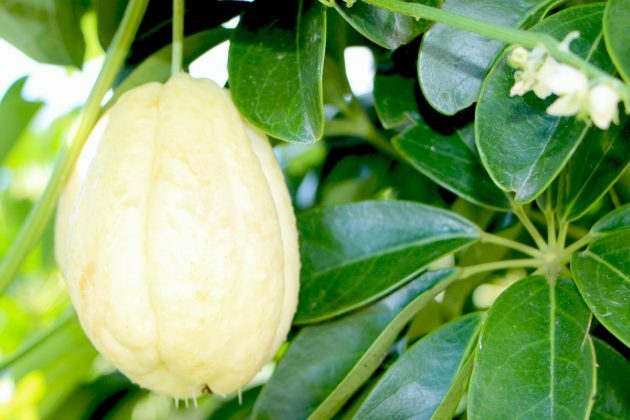 In addition, natural giddies, such as the lacewing and products of the neem tree can help to eliminate an infestation.